This blog is co-authored by Brad Gustafson and Gabe Hacket, two school leaders from Minnesota. We (Gabe and I) have been collaborating on a cross-site video series called "BookTalk DJs" with students. The series features passionate readers from both our schools who share books they love in an engaging DJ theme. The response from our students has been so positive that we wanted to invite educators to join the fun. Do you think you have what it takes to earn the title of "BookTalk DJ Extreme?!" I (Brad) believe talking about the things we enjoy is a basic part of the human experience. If we go to a movie or eat a meal we enjoy we're naturally inclined to share our experience with people we care about. I (Gabe) have seen this play out with students ever since our students started producing "Booktalk DJ" videos together. In a recent recording session, one of our student DJs said, "Mr. Hackett, I was hoping you would pick me, so I made up a DJ name, picked my book, and I've been practicing!" One of our 5th grade classes even picked their next class novel based on a book recommendation from Greenwood's BookTalk DJs. We (Brad and Gabe) believe students' reading lives should mirror some of the same things they've come to love outside of school. Similar to telling a friend about a favorite food or movie, providing students the opportunity to talk about the books they love is a cornerstone of an authentic literacy experience. 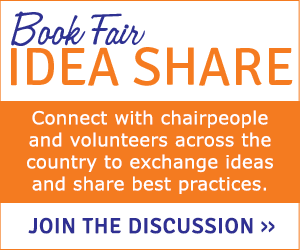 Modeling this practice is equally important, and that's where "BookTalking" comes in to play. We're inviting educators everywhere to post a super-short BookTalk video with what you're currently reading to #BookTalkDJExtreme. Watch the short (one-minute) video by clicking here. Keep in mind, most BookTalks do not need to be fancy productions or recorded on video. We're taking this project over the top because our students have enjoyed the theme so much (and it's a great way to model how fun school can be)! We can wait to see what you're reading!